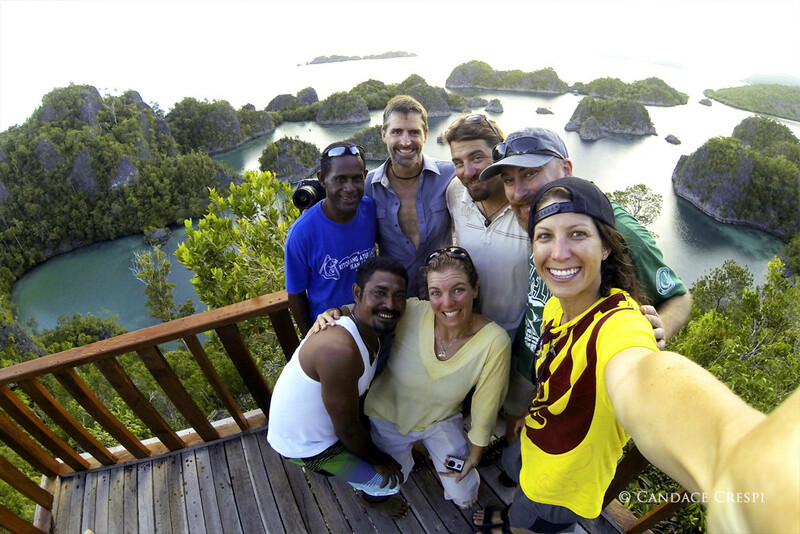 In December of 2014, our team traveled to Raja Ampat Indonesia for the culmination of a 10 year initiative, a film and tour celebrating the conservation history of Raja Ampat and cementing communities to continued defense of their natural treasures. 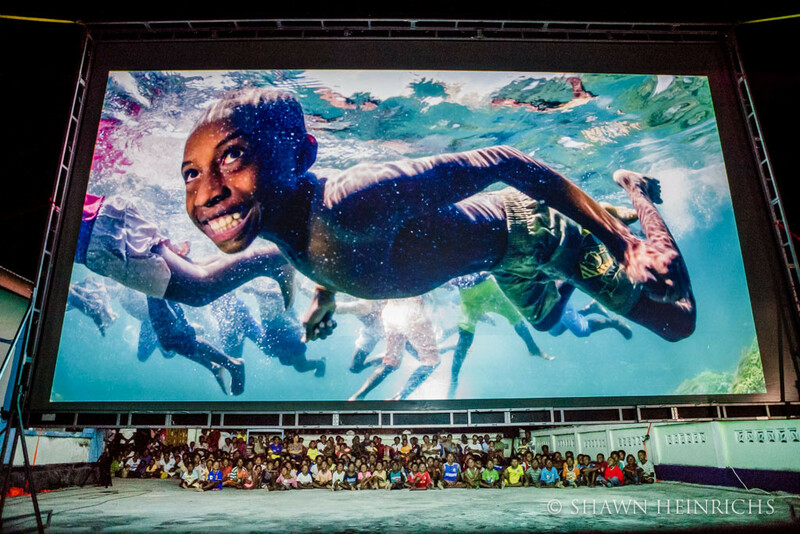 A thousand faces glowed in the light of the 2-story-tall outdoor theater screen, and the mood of the crowd changed minute to minute in reaction to the film: excited whispers and inside jokes as they saw themselves and their village on screen; pursed lips and angry sideways glances as a fish bomb exploded; nods of agreement, sweet smiles and even tears at the end. 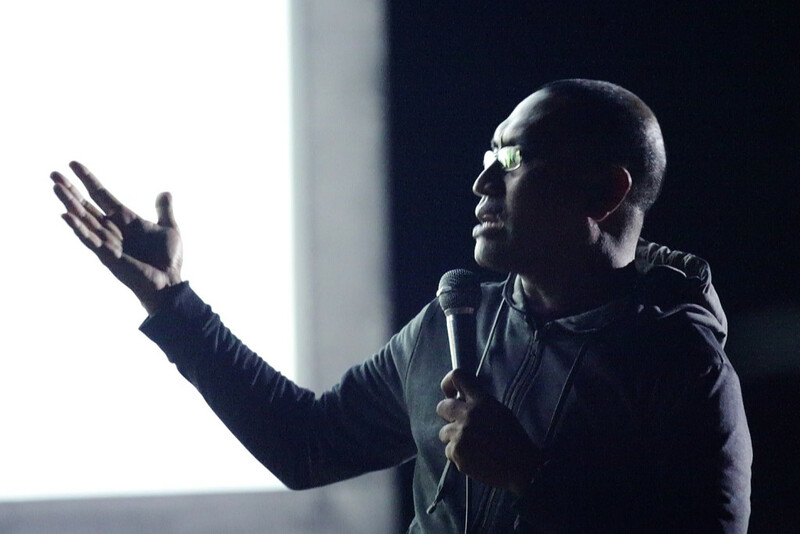 But the end of the film was only the midpoint in this event, and moments later hundreds of fists flew into the air as Edo Kondologit – Papua’s most famous singer, who donated his time to headline the tour – leaned forward into the climax of his song Aku Papua, “I AM Papua.” The crowd screamed the lyrics into the night, proclaiming their heritage, declaring their solidarity in the name of conservation. 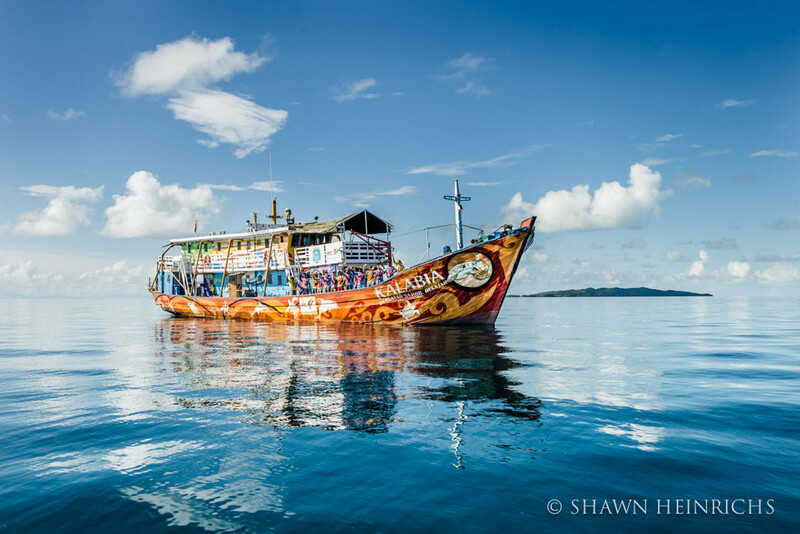 Over the course of three weeks, we worked with the tireless crew and education team of The Kalabia, a 100-foot floating classroom, to haul the 3000lbs of gear and setup the outdoor theater in 12 villages, one in each district of Raja Ampat. 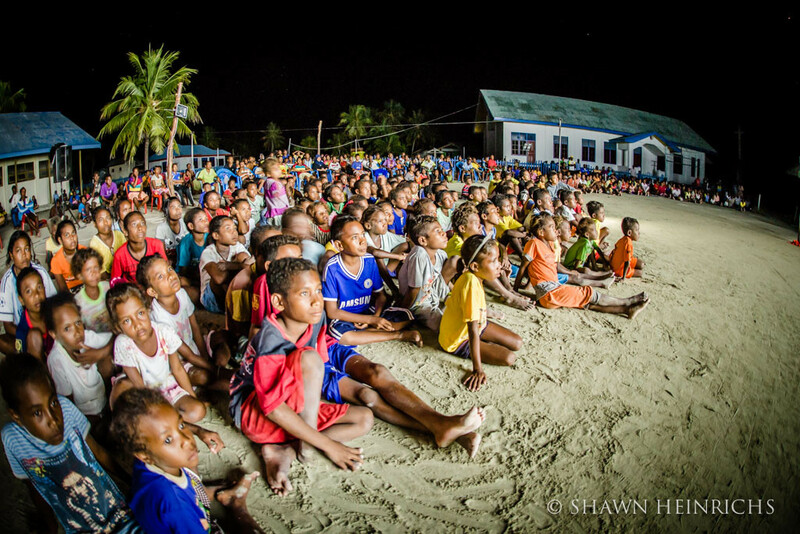 In all, more than 10,000 people – ¼ of the region’s population – participated in this unprecedented film and concert tour through the remote communities of Raja Ampat, Indonesia. 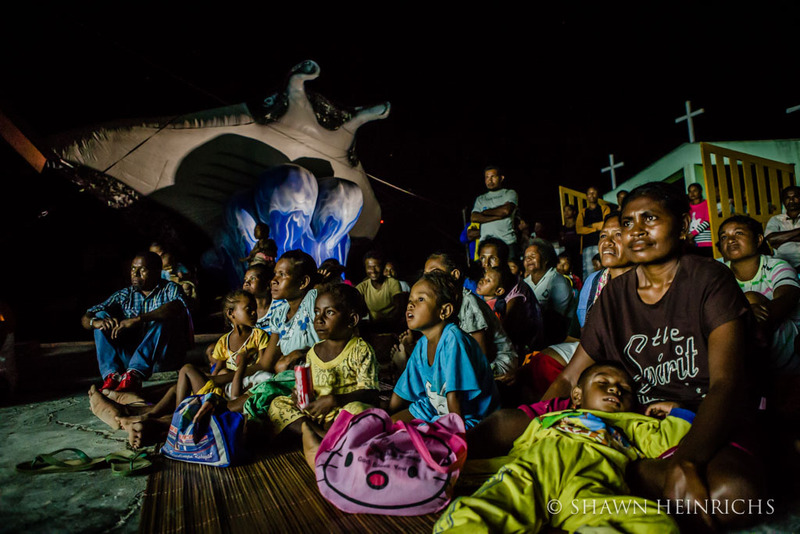 And in the community commentary after each show, Christians and Muslims, men and women, elders and children all spoke as one, calling for even greater protection of Raja Ampat’s waters – the richest marine ecosystem on earth. 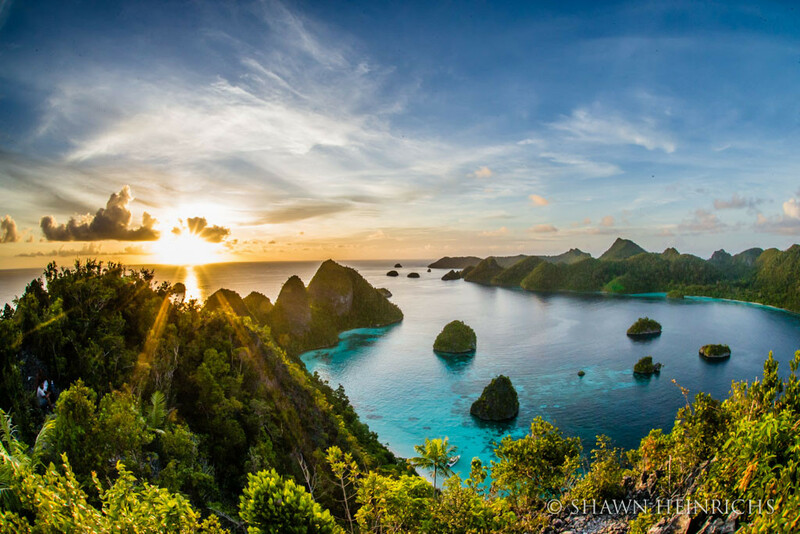 Raja Ampat is one of the world’s greatest ocean success stories. 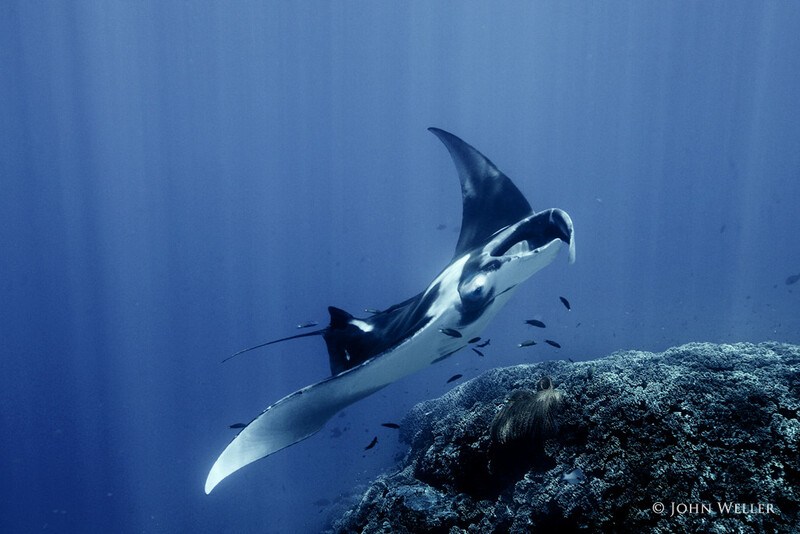 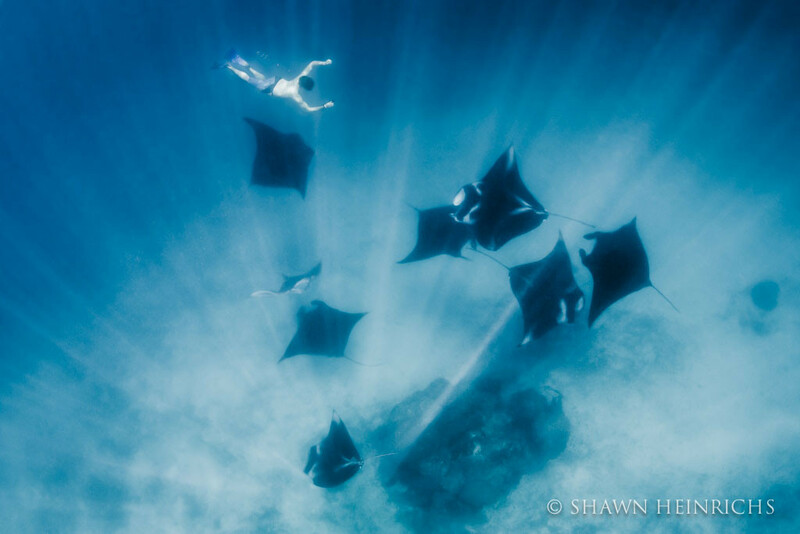 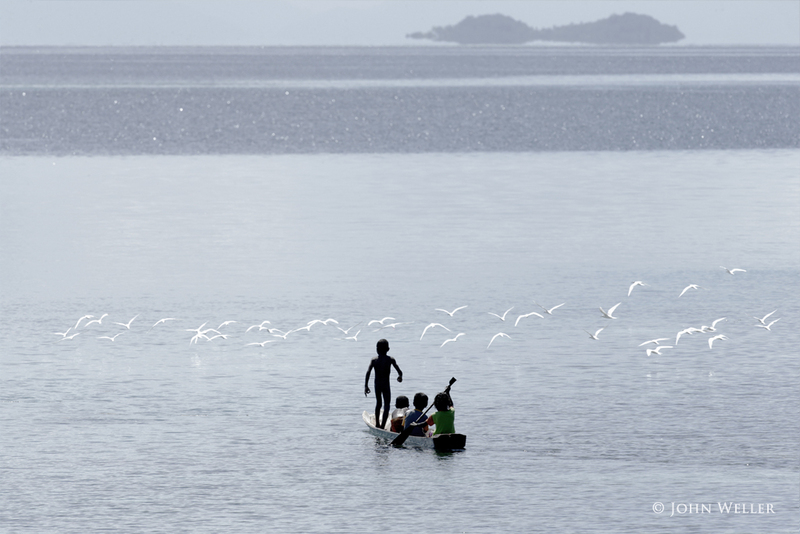 Building on centuries of traditional conservation practiced by the communities of Raja Ampat, Conservation International, The Nature Conservancy, and other NGOs have worked for more than a decade to catalyze the creation and wise management of seven large Marine Protected Areas in the region. 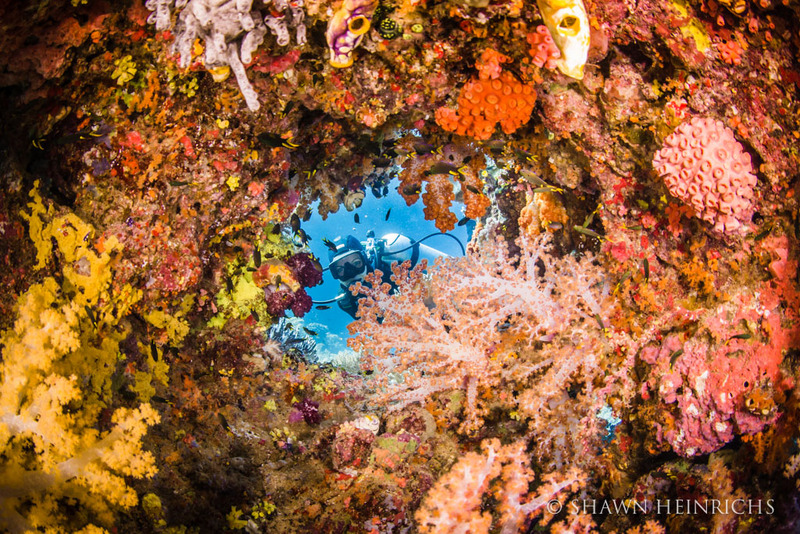 But the work is far from done, and it seems that the sheer success of conservation in Raja Ampat is creating more challenges. 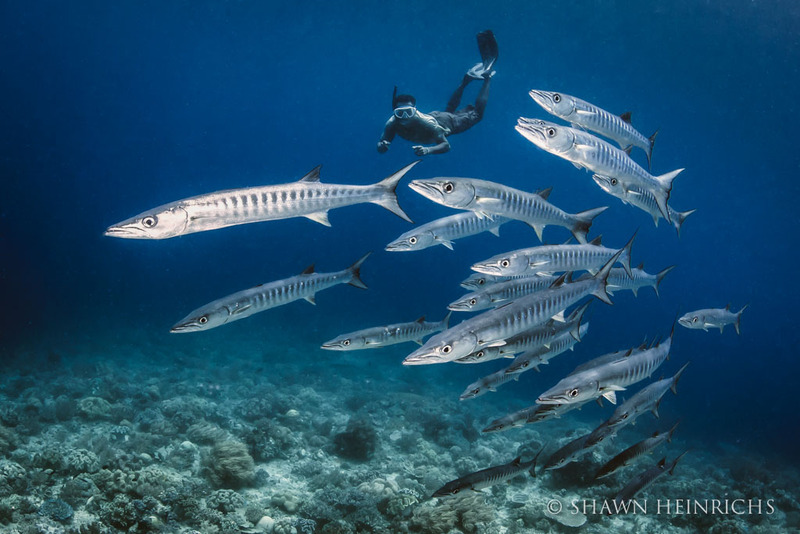 Conservation has resulted in great increases in the fish populations in the protected areas. 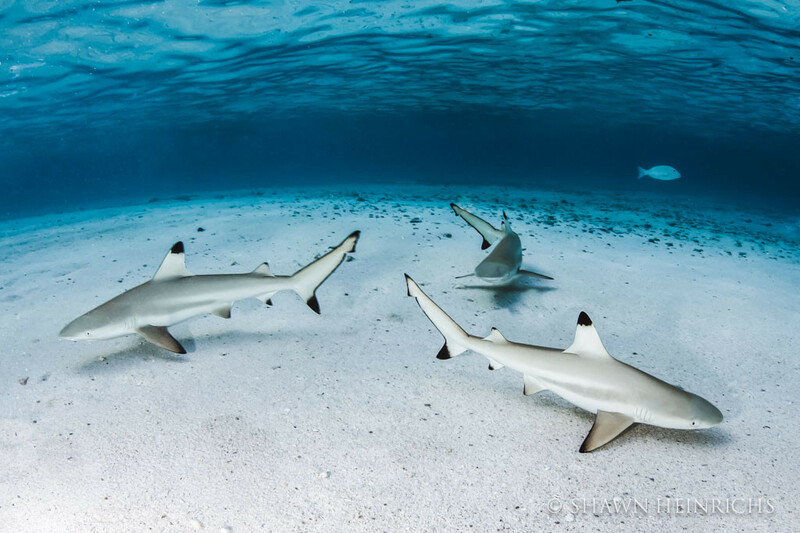 This new wealth is an irresistible draw for outsiders who sneak past the patrol boats, bringing destructive practices back to region: fish bombs, shark finning, and long-lining. 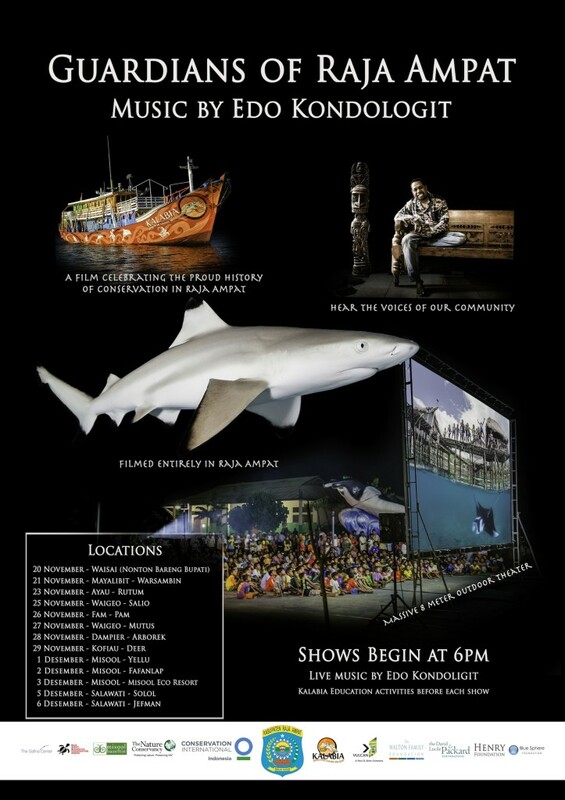 In partnership with Conservation International, The Kalabia Foundation, and Vulcan Philanthropy — and with valuable support from Wolcott Henry and the Henry Foundation, the Walton Family Foundation, the David and Lucile Packard Foundation, The Safina Center, the Blue Sphere Foundation, Misool Baseftin Foundation and others – The Guardians of Raja Ampat Film and Concert Tour harnessed the voices of the community. 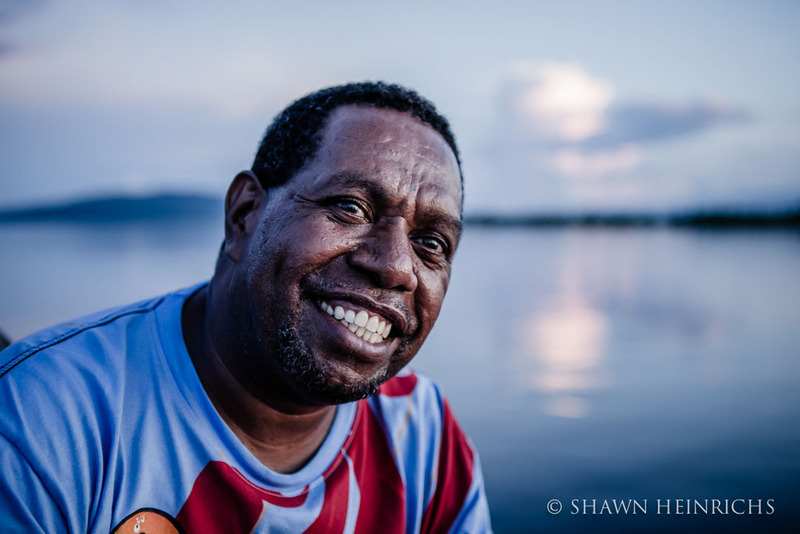 It galvanized community leaders across the entire regency to take a decisive stand against bomb fishing and other destructive practices, and catalyzed strategic discussions about how to stamp it out. 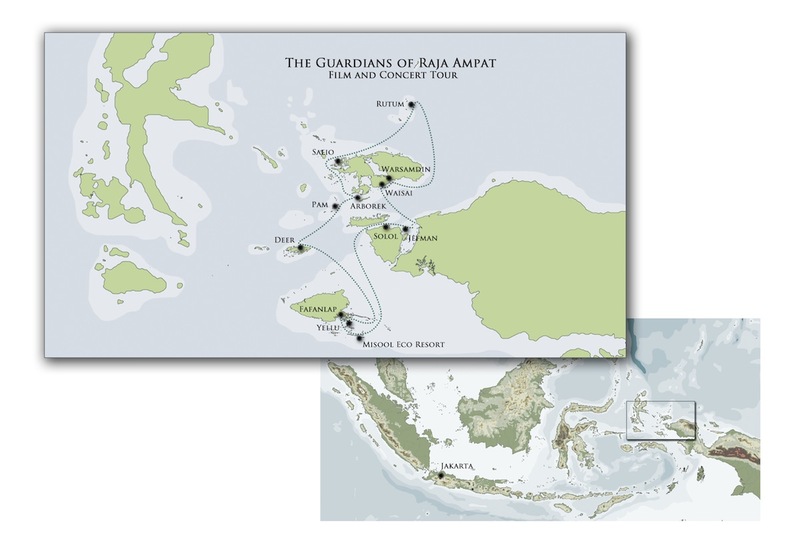 The tour also engaged the current and incoming regional government: in Raja Ampat’s capital city of Waisai, 3,000 people gathered for the show, cheering the current Bupati (regional governor) for his work to protect Raja Ampat, and calling on the next Bupati to take even bolder steps. 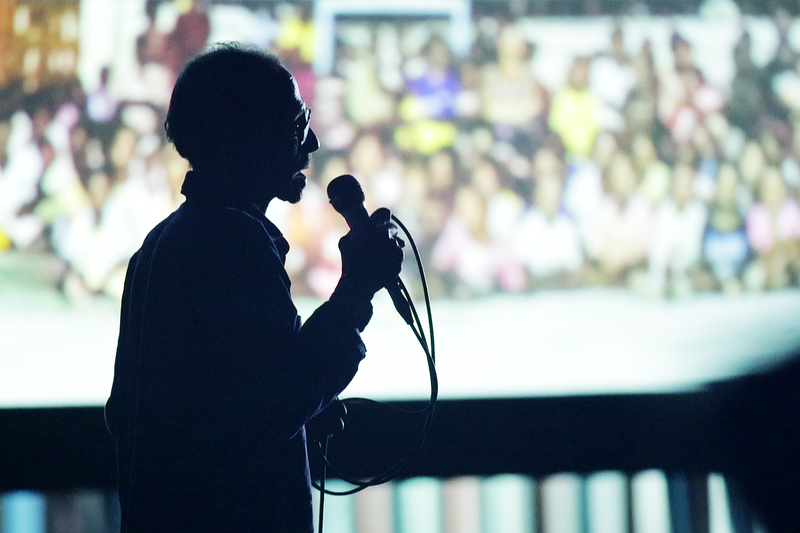 Further, the project engaged the national government and concluded with a showing at the US Embassy’s “@America” venue in Jakarta. 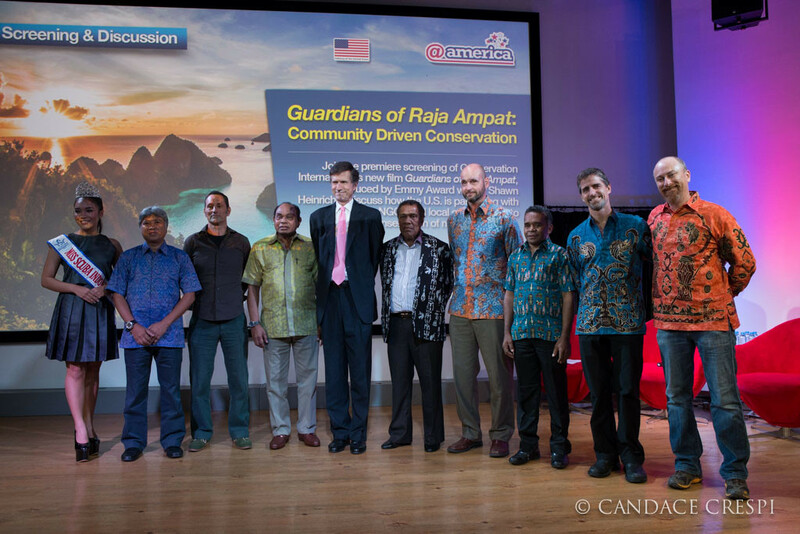 The show was jam-packed, including USAID representatives, high-ranking government officials, Indonesian university students and the US Ambassador, who publicly committed to use his office to directly promote conservation agendas in Raja Ampat and across Indonesia. 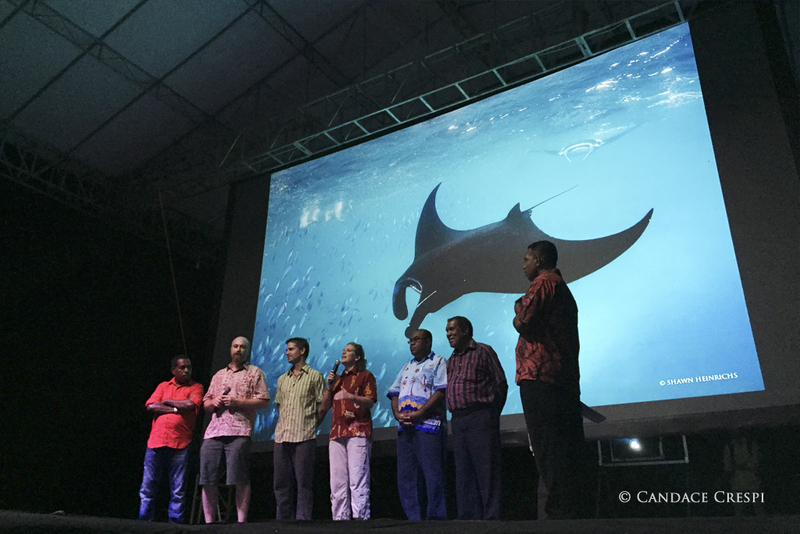 Finally, the film has become a communications centerpiece for our partner organizations as they engage key donors to support a significant long-term endowment for Raja Ampat conservation programs. 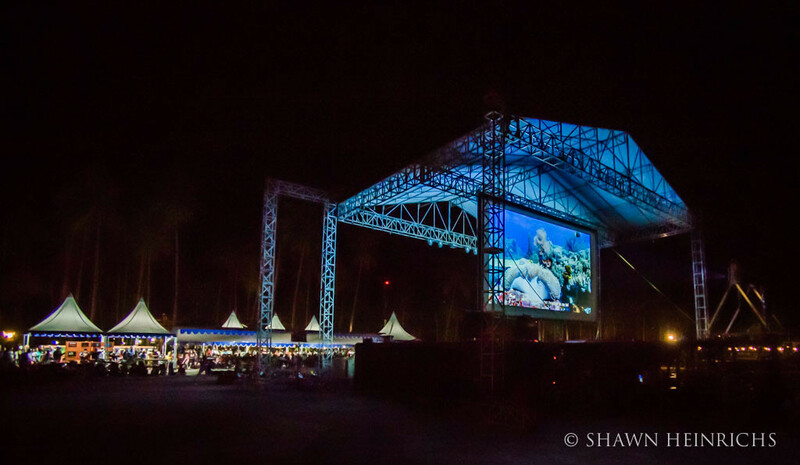 The Guardians of Raja Ampat Film and Concert Tour exceeded our imagination. 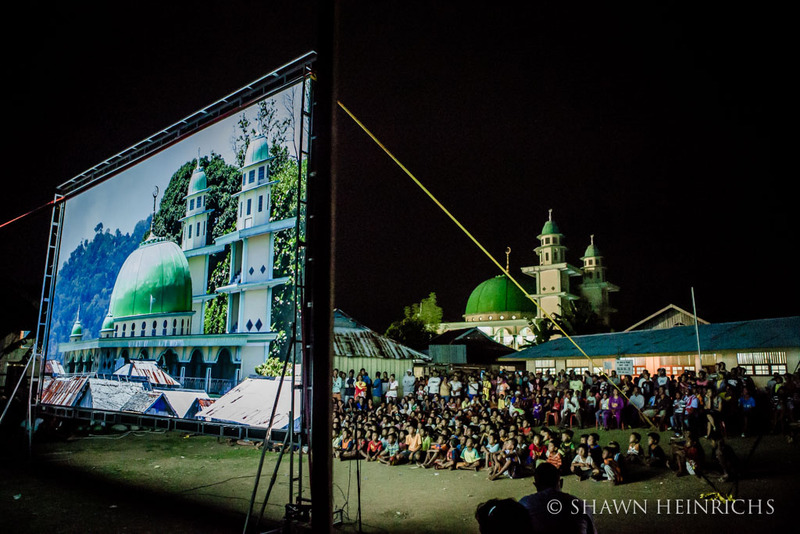 We witnessed the greatest outpouring of community spirit, determination, and wisdom that any of us had ever seen. We are proud to have helped amplify these important voices, connect the people of Raja Ampat to their own story, and ignite a new fire of commitment to conservation that crosses the boundaries of religion, culture, gender, and generation. 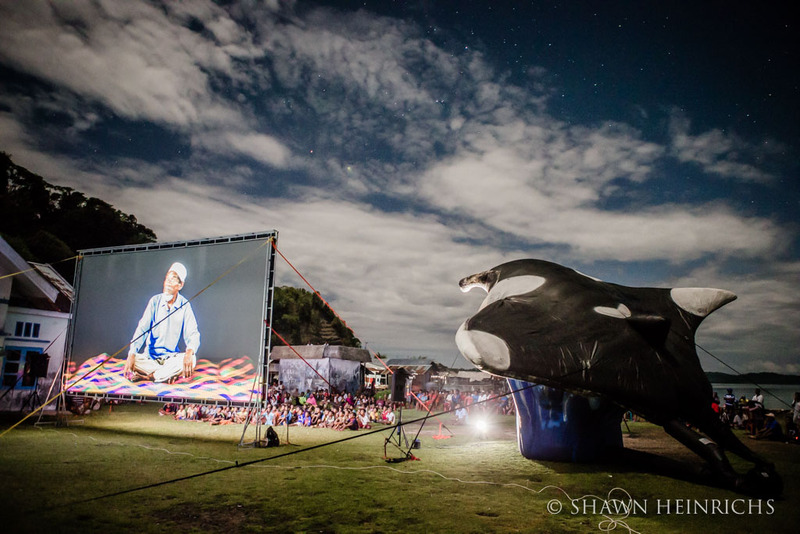 But more than anything we were all honored to contribute to a decade of visionary conservation work. 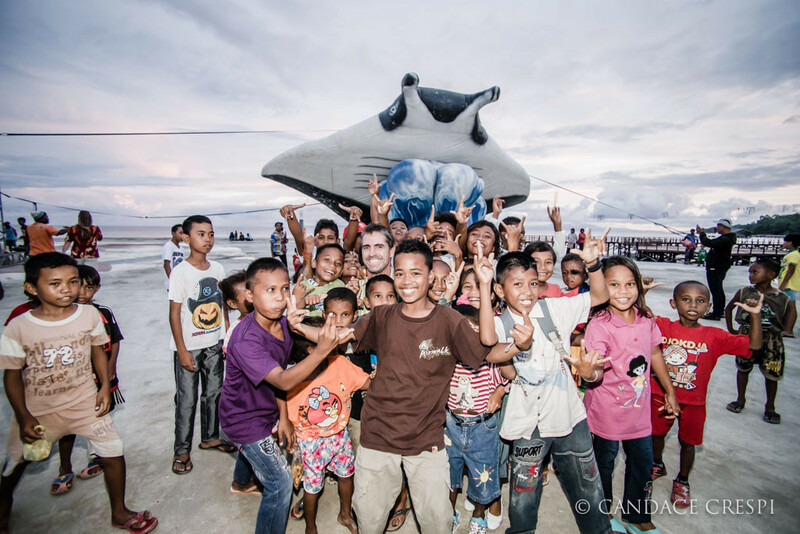 The great success in Raja Ampat is the result of collaboration between NGOs, government and communities. 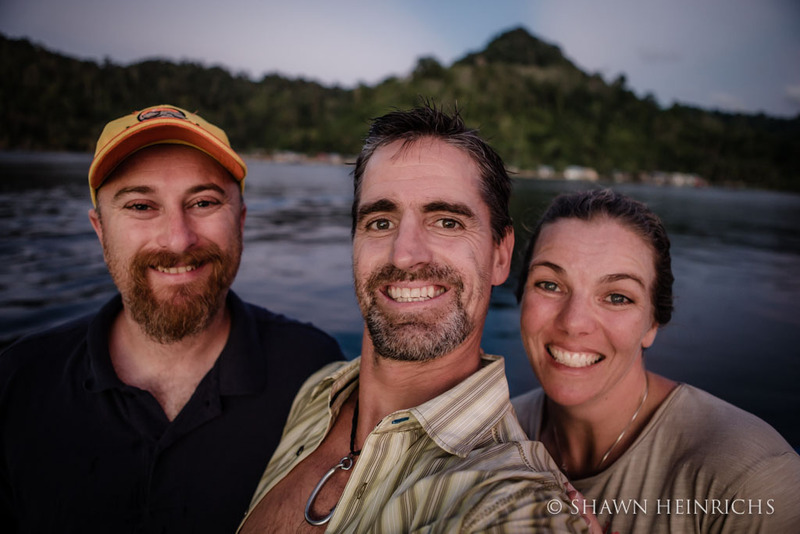 When we speak of “The Guardians of Raja Ampat,” we mean all the organizations and incredible individuals that devote their lives and resources to the protection of this global treasure. 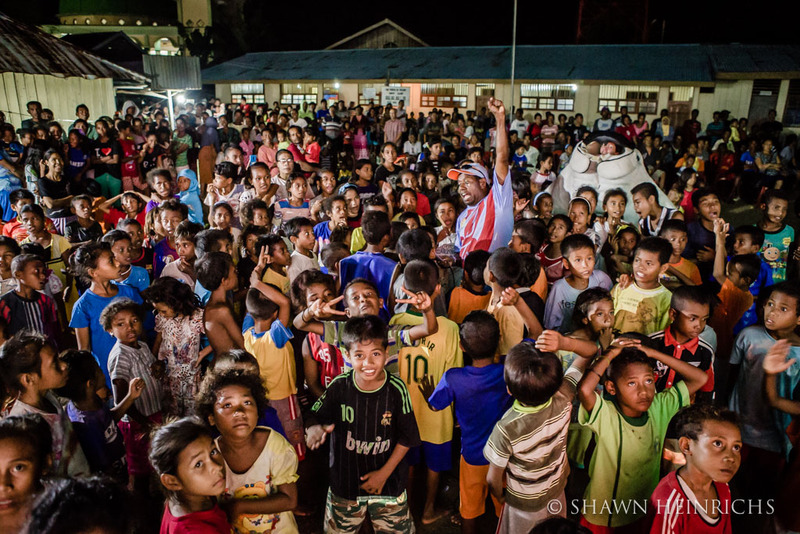 We also mean you, dear reader, because it will be in part by your support that these organizations and communities continue into the next chapter of their collaboration, enabled to overcome new threats.